Every family business need to find their Russell Wilson! Every family business needs someone young, talented, and determined to be the very best in their field. What a great feeling it must be for the Seattle Seahawks and their fans to know that they have the right person to lead the team for the foreseeable future. I can’t tell you how many family businesses I see that are lacking that leader. Russell Wilson wasn’t picked in the first round. The Seahawks had to look deeper and more closely to identify the great qualities Russell Wilson had. How many times have we seen the first round picks that have become a bust. Families many times find their future leaders a little deeper in the crowd of candidates. Look deep into your field of candidates and be patient about finding one. Because he wasn’t the most obvious choice Russell has made it his mission to show all of the teams that passed him up what a mistake they made. Many of the most successful family business leaders we work with have that same drive to prove the skeptics wrong. Look around in your family and look for the people that have great determination and the spirit of the underdog. 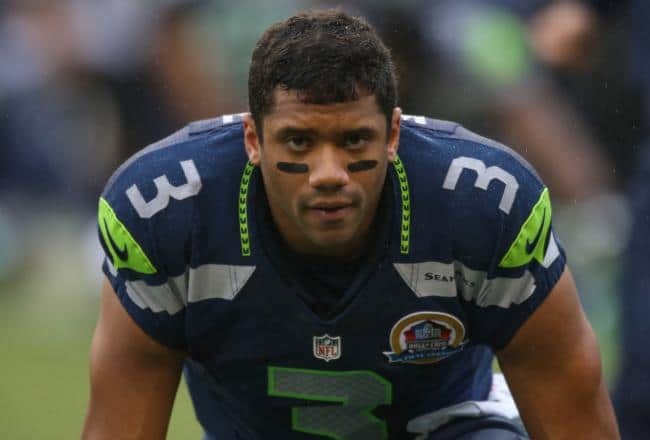 After the Seattle Seahawks lost to my Arizona Cardinals in December, Russell Wilson was in the Seahawks training facility at 5:30 AM on Monday morning reviewing the game film. He and Coach Pete Carroll were the first ones in the facility to examine and learn from their first home-field loss in two years. The most successful family business leaders are also the hardest workers. The universe rewards effort. Find the people in your family that are willing to do the hard work to help ensure the family businesses long-term success! Perhaps the qualities that I love the most in Russell Wilson are his humility and authenticity. He speaks confidently about winning and being a champion but he also does it with good attitude. He reminds me a lot of our receiver Larry Fitzgerald. They work hard to be the best and don’t spend a great deal of time putting on victory dances when they succeed. Look for the people in your family that have a healthy amount of ego. They are confident yet don’t need to shine a light on themselves at every turn. The bottom line is that every family business needs to be able to identify and nurture the best talent they have in the family. That talent isn’t always easy to find. The family needs to be able to articulate the qualities they’re looking for and nurture those qualities in their next-generation of leaders. Not every family is good at evaluating and developing talent. If you’re not, don’t be shy about finding the resources and skills needed for this very important task. Lean on others, study best hiring practices from other companies and be relentless in the pursuit of your Russell Wilson! He’s out there!